The hard-working tractor is a multi-tasker! This is the story of the little tractor that could. In 2008 the Cuban government opened a window of opportunity for citizens to acquire assets. Five remote communities of approximately 1,200 people desperately needed help with their farming work. The villages also lacked public transportation and decent roads. The purchase of a tractor was the obvious choice. With the financial support of PWRDF through the Cuban Council of Churches, Pastor Roberto Rodrigues and his community bought a Russian-made tractor. The tractor was named “Abriendo Caminos” which means Opening Trails. And it has brought so many blessings to five little villages of Purialito, Pablo Perez, Poco de Petroleo, El Cinco and Barquero in the district of Placetas, the Province of Sancti Espiritu. “The services that Abriendo Caminos provides to the community are so many that there is no way to account for it!” says Raynel Rodrigues, the eldest son of the pastor and an active member of the community. And it is true. Abriendo Caminos is a multi-tasker. Among its many duties, it operates as a school bus, ambulance, public transport, and of course its first vocation — working the fields. With typical Cuban ingenuity, the community has created several types of carts to hitch to the tractor so it can be adjusted to the required tasks or functions. During the rainy season, it is impossible for children to walk through the muddy roads to school, so every morning, Abriendo Caminos – with Pastor Rodrigues at the wheel — dutifully picks up the children at a gathering point and takes them safely to school. On occasion, Abriendo Caminos has done ambulance duty in the middle of the night to take a sick patient to the nearest health centre eight kilometres away. And community gatherings would not be the same without Abriendo Caminos transporting people from place to place. People of the five communities, spread across a radius of 10 km, say that Abriendo Caminos is the feet of the community. It takes them everywhere and keeps them close to each other. Ten years have gone by, and Abriendo Caminos is showing its age and a life of hard work! Many coats of paint have tried to rejuvenate its appearance, but there is only so much that a paint brush can do. After ten years of good and loyal service, PWRDF staff visited this hard-working and loyal friend of Purialito and the other surrounding villages. 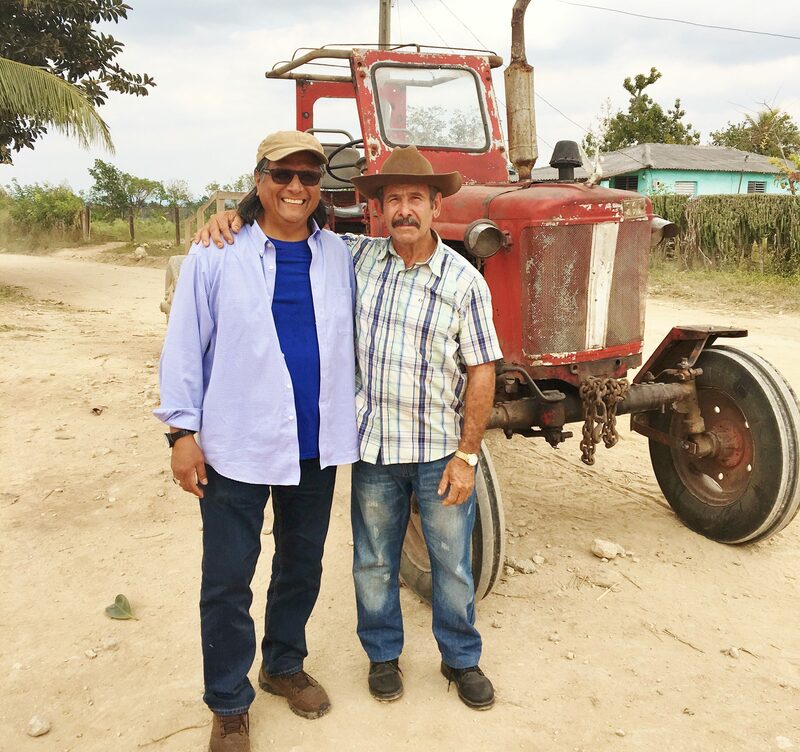 As we said goodbye, Pastor Roberto Rodrigues and his community wanted us to bring back a message of gratitude and friendship to their Canadian Anglicans sisters and brothers, and tell you how the gift of a little tractor has helped so much their community.